On Thursday March 30, 2017, Capalino+Company Senior Vice President Tunisha W. Walker received two awards for her commitment to economic development and diversity. These two awards were a testament to Tunisha’s invaluable community service and a celebration of Women’s History Month. 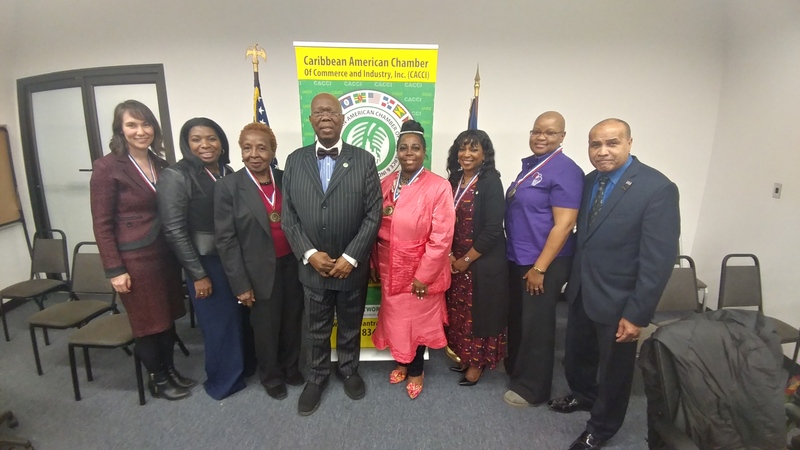 The Caribbean-American Chamber of Commerce and Industry (CACCI) presented Tunisha with the CACCI Woman History Maker Award for her continuous efforts to promote Minority Women-Owned Businesses and increase local economic development to communities of color. This award was bestowed in special recognition of Women’s History Month, by the President of CACCI, Dr. Roy Hastick and reflects Tunisha’s dedication to small and start-up business owners in the areas of business planning, procurement and MWBE certification. “Thank you to Dr. Hastick and CACCI-I am truly honored for this opportunity to be recognized for my work and dedication to making sure that MWBEs receive their fair share. I will wear my medal with great pride and admiration,” said Tunisha. In addition to CACCI’s Woman History Maker Award, Tunisha was also honored by City & State’s CSR Awards: On Diversity, for her commitment to advancing diversity. Walker moderated a leadership discussion on innovative corporate social responsibility initiatives for workplace diversity and inclusion, supplier diversity and procurement and supply chain management. The event included keynote speaker Rev. 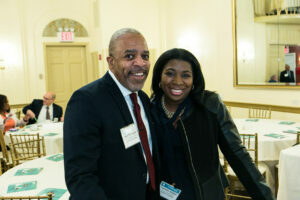 Al Sharpton, Founder & President, National Action Network, Emcee Saundra Thomas, Vice-President of Community Affairs, WABC-TV and remarks by Aleida M. Frederico, Chair of the TD Bank Metro NY Regional Diversity Council. These awards pay tribute to Tunisha’s dedication to supporting minority and women’s businesses (MWBEs) in the New York area. Tunisha leads Capalino+Company’s MWBE consulting group where she works with MWBEs to build their capacity and secure government contracts, and assists companies seeking to hire MWBEs to comply with MWBE goals. To further assist MWBEs, Tunisha recently co-founded MWBE Connect NY, Capalino+Company’s new mobile application that connects MWBEs to City and State contract opportunities using an algorithm and innovative bid-matching technology. To learn more and download our revolutionary new app, MWBE Connect NY, visit: http://mwbeconnectny.com/. Contact Tunisha at tunisha@capalino.com to see how our MWBE Consulting Group can help your business succeed. Get The Latest From Capalino+Company! Sign up for our free weekly newsletter for a roundup of top news and appointments from New York City and State government straight your inbox every Friday. Click here to subscribe to Affairs+Appointments.